Shaw, Murray C.. "Steve Podborski". The Canadian Encyclopedia, 04 March 2015, Historica Canada. https://www.thecanadianencyclopedia.ca/en/article/steve-podborski. Accessed 20 April 2019. Podborski was the first non-European winner of the World Cup downhill championship title (courtesy CP). 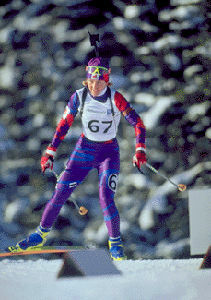 Steve Podborski, alpine skier (b at Don Mills, Ont, 25 July 1957). 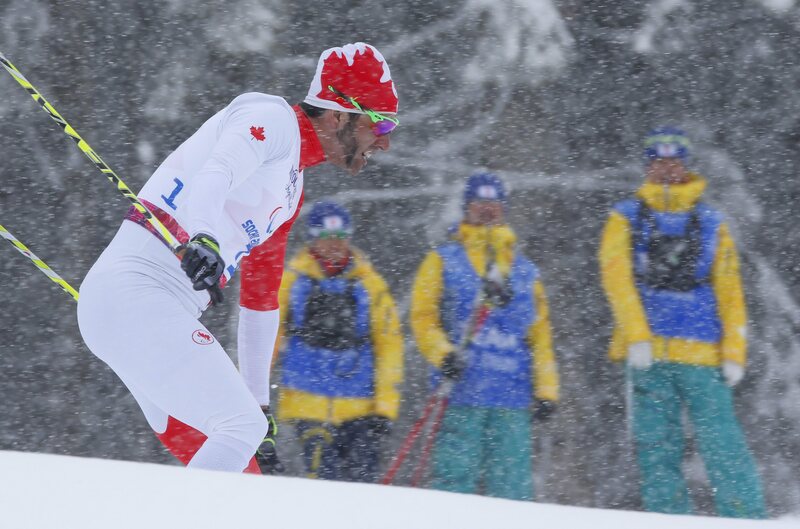 On skis at age 2, he began racing at 10 and joined the Canadian alpine ski team in 1973. His international downhill racing performances improved steadily, and as a member of the "Crazy Canucks" (with skiers Ken Read, Dave Irwin, and Dave Murray) dominated the sport in Canada during the 1970s and 1980s. Despite a serious knee injury in 1976 he managed to improve his standings upon entering his first World Cup win in 1979 (at Morzine, France). In 1980 his Olympic bronze medal in the downhill provided one of only 2 Canadian medals. In 1982 he won 3 consecutive World Cup downhills, skiing with extreme technical skill, particularly on the tough icy courses he preferred. His strength, skill and daring were particularly apparent in the 3rd victory, where his winning speed of 166 km/h was the fastest ever recorded at Kitzbühel, Austria. In 1982 he combined 3 more wins with consistent top placings to become the first non-European winner of the World Cup downhill championship title. He won the Canadian Downhill Championships in 1983 and 1984. 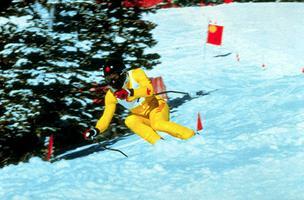 That year he retired from skiing and embarked on a career as a ski commentator and sports advocate. In recent years he has worked on the Canadian Olympic Committee and sat on the Vancouver 2010 bidding committee. In 2009 he was chosen to serve as the Canadian Olympic Team's assistant chef de mission. During 10 years of international racing Steve Podborski won 8 World Cup races to become the most successful Canadian male skier to date. He was made an Officer of the ORDER OF CANADA in 1982. He was inducted into the Canadian Olympic Hall of Fame in 1985, CANADA'S SPORTS HALL OF FAME in 1987, and the Canadian Ski Hall of Fame in 1988. In 2006 Steve Podborski and his Crazy Canuck teammates were given a star on Canada's Walk of Fame.